The unicorn craziness might seem over to some of you, but for Too Faced is a never-ending inspiration. 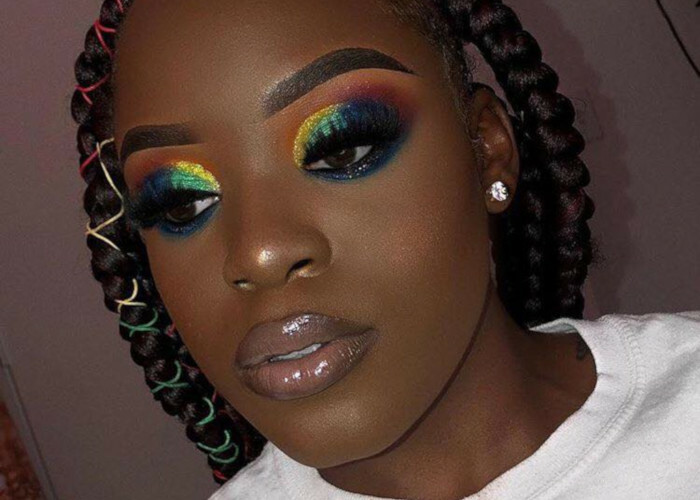 The whimsical beauty brand finally revealed all the details about the “Life’s a Festival” collection. If you still secretly dream of unicorns your eyes are about to become a heart emoji when you see all the products. The insanely cute collection brings more unicorn-approved products among which are the Unicorn Horn Mystical Effects highlighting sticks. We have been obsessed with highlighters ever since we discovered their magic, but unicorn horn highlighters seem like a drop from a fairytale world. If you ever wished to shine like a unicorn, there you have it – an unusually-shaped stick that looks like a real unicorn horn ready to give you out-of-this-world glow. Named “Unicorn Tears” and “Unicorn Dreams” the highlighter sticks have a velvety feel and leave a dewy pearlescent glow. The “Unicorn Tears” is a blue highlighter with pink shimmer and the “Unicorn Dreams” is a pink one with a hint of gold. There is one more highlighter in the collection, equally exciting like the Unicorn Horn ones. The rainbow strobe highlighter features 5 different shades that give you the perfect glow separately or mixed together. Besides highlighters, there is a powder bronzer with the Unicorn Tears highlighter placed in the middle of the bronzer. This is an innovative combo that promises to give you golden glow with a pop of lilac color. There is also the Magic Rainbow Strobing Brush to help you get your cheeks on point. Another exciting thing in the Too Faced’s “Life’s a Festival” collection is the Peace, Love & Unicorns eyeshadow palette with holographic rainbow-shaped silver packaging. The palette features the prettiest tones of pink, purple, peach, gold and more which come in 4 finishes: matte, pearl, satin, and duo-chrome. The collection wouldn’t be complete without some unicorn-approved lipsticks. So, Too Faced offered La Créme Mystical Effects lipsticks in Fairy Tears, Mermaid Tears, Unicorn Tears, and Angel Tears. Furthermore, the Mystical Effects Lip Toppers come in the same shades as the lipsticks and can be worn on the top of them to enhance the holographic effect. They also look beautiful when worn alone. It’s natural for unicorns to get tired from time to time, especially in the wild festive season. To boost your energy Too Faced created the Festival Refresh Mystical Effects setting and refreshing spray. All of the products from the Too Faced’s “Life’s a Festival’ collection are simply irresistible, but you have to wait until February 15 to upgrade your makeup collection with these. The unicorn-themed products will be available for purchase on toofaced.com, just in time for festival season.